Disgraced former CBC Radio host Jian Ghomeshi's personal essay in The New York Review of Books draws swift backlash, with many social media users questioning why he was given such a prestigious platform to detail his life post-trial. In the piece, titled "Reflections from a Hashtag" and published online Friday, Ghomeshi reveals that he had suicidal thoughts in the aftermath of the allegations and reflects on his trajectory from a high-profile Canadian personality to a self-described "outcast." He also expresses "deep remorse" for the way he treated some people, admitting he was "demanding on dates" and "emotionally thoughtless." "I've become a hashtag. One of my female friends quips that I should get some kind of public recognition as a #MeToo pioneer," he writes. "There are lots of guys more hated than me now. But I was the guy everyone hated first." Linda Redgrave, one of three complainants in Ghomeshi's trial, said the essay struck her as an attempt to elicit sympathy while re-entering the public sphere. "He expressed deep remorse, but that was not the focal point of the essay. I felt continuously directed to delve into sympathy," she said, adding that her reaction was contrary to what seemed to be the "guided path for the reader." "He speaks of not listening to women, which left him deaf to things he should be hearing. That statement spoke volumes to myself and I can imagine stirred up many feelings in other women reading it. Too little too late. It didn't hold weight for me as a reader. Linda Redgrave did not get an apology." Farrah Khan, manager of Ryerson University's Consent Comes First office, wondered why the semi-monthly magazine gave an opportunity to such a controversial figure when many people affected by sexual violence are not given such an opportunity. "Why was he given this platform? Why now?" Khan said, also questioning if the magazine fact-checked the piece. "It's interesting, who gets to have that platform. Publications oftentimes are invested in giving space to people like Ghomeshi to boost their sales, to create this hyped conversation about it." Ghomeshi came off as "arrogant" for suggesting he's part of a decades-long fight for the rights of survivors of sexual violence, she added. "When reading the article, one of the things that was really salient to me was his speaking about how he was one of the #MeToo pioneers, or making a quip about it," Khan said. "He didn't start the movement on sexual violence — we did." In anticipating the reaction to the roughly 3,400-word essay, which marks the first time Ghomeshi has addressed the trial publicly, he acknowledges that it focuses on his own experience, "which may be seen as not helpful in rendering women's experiences more visible." The cover story, billed as "Jian Ghomeshi on Jian Ghomeshi," is set to appear in the magazine's October issue on "The Fall of Men." A representative for The New York Review of Books said the publication had no comment on the matter. 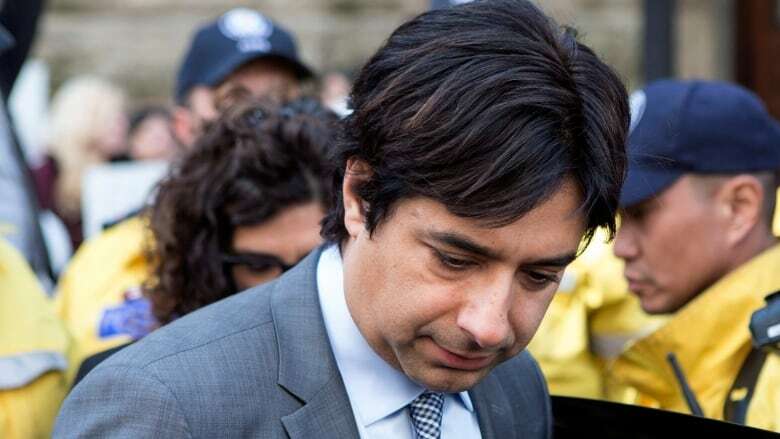 The Ghomeshi trial and ruling triggered an emotional public debate about how abuse complainants are treated by the justice system, which some consider to be a precursor to the #MeToo movement that emerged last fall. Ghomeshi writes in the essay that he cannot confess to accusations he maintains are "inaccurate," but admits he should have been more "respectful and responsive" with the women in his life. "What I do confess is that I was emotionally thoughtless in the way I treated those I dated and tried to date," he writes. "I leveraged my influence and status to try to entice women and lead them on when they were interested." Ghomeshi said he struggled with suicidal thoughts in the weeks after the allegations surfaced in 2014, which coincided with him mourning his father's death. "It was as though the end of my life as I knew it was somehow conjoined with the actual end of his." As his professional and personal support systems collapsed, Ghomeshi said he faced "financial calamity" between his firing from CBC and legal fees. He also fumed over what he characterized as "inaccurate" depictions of him on social media, and said he fielded a barrage of racist remarks over his Iranian heritage. In mulling over whether men facing sexual misconduct allegations should apologize, Ghomeshi said his own experience makes him "distrust" public declarations of remorse in the immediate fallout of a scandal.